An evolving list of CD's by Reclaiming, Reclaiming teachers, or folks connected to Reclaiming. If you know music that should be on this list - contact us! Reclaiming Witches' Brew: Songs and Chants from Reclaiming's Cauldron - Fifteen new songs, chants, and meditational instrumentals by Reclaiming teachers and musicians. Our first new recording in 8 years - coming in early 2006! Click here for more info or to order Witches' Brew. Reclaiming Chants: Ritual Music - A popular 1987 teaching tape, this album features chants taught through Reclaiming's classes and rituals, many of which are now familiar to Pagans around the globe. 21 great chants in all, performed by a small chorus with some hand drumming. Click here for more info or to order this CD. Reclaiming Second Chants - This versatile recording, produced in 1994, has many wonderful new chants and songs from Reclaiming's classes, summer intensives, and rituals. Arranged with teaching in mind, yet musically varied with a host of instruments. 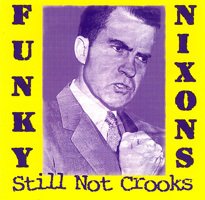 Strong production values make this album a consistent best seller. All lyrics included. Click here for more info or to order this CD. Reclaiming Let It Begin now: Music from the Spiral Dance - In 1979, our community held the first public Spiral Dance ritual, to celebrate Samhain (Halloween), and the publication of Starhawk's book The Spiral Dance. Since then, the Spiral Dance ritual has been changed and added to, most profoundly by the inclusion of much beautiful, original music. These 11 songs and chants from Reclaiming's Spiral Dance ritual are played in a variety of musical styles, from a capella to full choral arrangements with complex instrumentals. A ritual in itself, this 1992 recording captures as much of the magic of our yearly ritual extravaganza as would fit in the studio! Click here for more info or to order this CD. Evergreen Erb Heart's Longing - Eleven beautiful harp instrumentals, as heard at Witchcamps and rituals. Excellent for meditating, relaxing, or just listening. Contact Evergreen for more info. 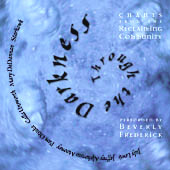 Moonrise Songs, of Love, Magic, and Other Mysteries - Songs and chants from the Reclaiming tradition by three singer/musicians who often perform at the Spiral Dance and other Reclaiming rituals. 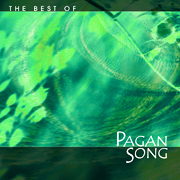 Included is the new Goddess song from the Spiral Dance ritual plus other favorites. Contact Moonrise. Subscribe or donate today! - RQ needs your support to survive!